Another episode of the podcast and Dr Reddy and myself since Kara has a “Family” to look after. It would appear a “family” is a condition that affects most humans at some stage in their lives and they are not always malign. In fact it would seem they can be benign. However I haven’t seen that in Facebook or in a photo with a cute kitten, so I won’t believe it right away. So Dr Reddy and I had a good natter. One you’ll find interesting, we hope! For starters we talk about my interview with Matt Buchholtz from Crit Juice. 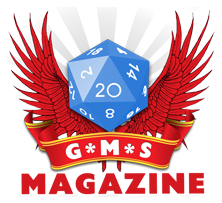 We discuss what makes that podcast successful and the work that goes behind producing something as polished at that, even if a bunch of guys drinking around a game of Dungeons & Dragons doesn’t sound like it. We also talk about my recent trip to Edinburg, where I enjoyed a weekend of terrific talks at Conpulsion, Scotland’s biggest and best Role Playing Games convention. During the convention, experienced Role Playing authors like Ian Lowson mingled with video games producers like Kevin Beimers or Luke Dicken. Of course they weren’t the only ones there and for a full list of the rather talented people present at the convention, please click here. Of course the fact that they were truly enjoyable doesn’t mean I’d be able to remember the names of the videogames mentioned. No matter how many times Kevin mentioned Badge of Carnage or Schrodinger’s Cat and the Raiders of the Lost Quark, you can count on me to forget the name when we’re recording!